The other key structure of the programme was fortnightly ‘check-ins’ at GridAKL / John Lysaght – Startup Hub in Auckland, where we brought all of the participants together to reflect on progress, discuss goals, and enable them to learn from (and be accountable to) each other. This was really valuable time to enable the teams to ‘step out of the weeds’ and ensure it was the longer-term strategic goals they were focusing on and taking actions towards. This blog was prepared by Jackson Rowland | Venture Manager at Akina. 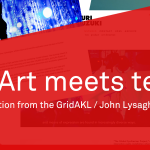 Launchpad Work would not have been possible without the generous support of our sponsors, The Ministry of Social Development, SkyCity Auckland Community Trust, GridAKL and the team at the GridAKL / John Lysaght Startup Hub, and Foundation North. Thank you for enabling this impact.